Gaawiin wiinichigaagesinoon. No more pollution. Gaawiin baapinodasiin aki. No disrespect to the land. Gaawiin baapinodasiin nibi. No disrespect to the water. Gaawiin baapinodasiin ziibiins. No disrespect to the creek. Eventually, as a result of their work, and undoubtedly some changes to policy and business models, “maajii’aabiziiwijiwan o’o ziibiins (the creek begins to heal).” The emphasis on teamwork and a need to plan a future that is sustainable for everyone is applicable today. 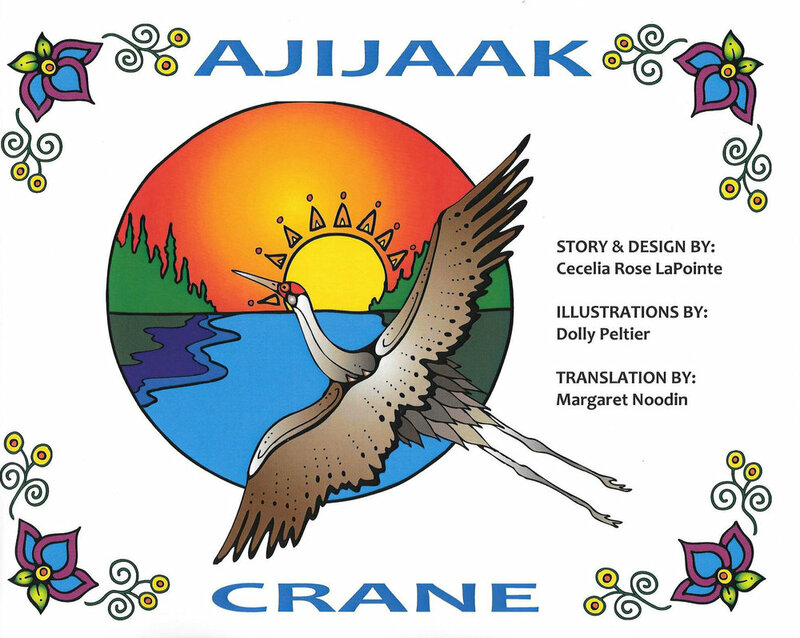 The story and design are by Cecelia Rose LaPointe with illustrations by Dolly Peltier and a translation by Margaret Noodin. To support more publications like this one, you can purchase a copy of the book for Ajijaak press. 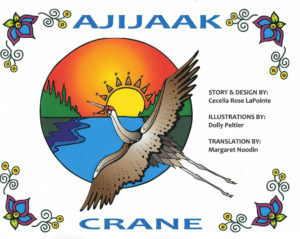 To enjoy the sound of the language and learn the words and phrases in the story you can download an audio of the full story here.